Steve Pollack offers a unique form of alternative therapy, called family emotional support. It’s based in the wisdom tradition of Nonviolent Communication (or NVC). This is a dynamic process pioneered by Dr. Marshall Rosenberg. In Steve’s able hands, it gets dramatic results in a fraction of the time required by traditional therapy. Compassionate communication is the key. Now you can increase the healing capacity of your family emotional support system. This distinctive form of family counseling in Miami is also offered by phone and Skype. So there’s no need to live in South Florida to benefit from it. For your free 15-minute consultation, call 305-947-9115, and dial the country code first if calling from outside the USA. Though not a traditional psychologist or therapist, Steve Pollack brings over a decade of experience to this work. He is adept at customizing the healing process to each unique family situation. He will support you in fostering personal and relationship growth. The goals are simply to achieve greater family balance, harmony and understanding. If you qualify, he’ll work with you right in the comfort of your own home. For more information or to book an appointment, visit Steve’s NVC Family Emotional Support website here. Steve’s work is inspired by the humanistic psychology of Carl Rogers. Rogers is best known for empathetic counseling. That means it’s all about the healing power of empathy. Steve helps your family learn how to give pure empathy to each other. When all have had their needs met for compassion and understanding, you’ll see an amazing shift. The family dynamic really does change. When people have been deeply heard, there is more openness to problem solving. Creative brainstorming can happen easily. Practical, effective solutions can be found often in less than 20 minutes. This applies even to some of the most difficult family matters. When issues arise in your family, you can turn to Steve Pollack time and time again. His family counseling in Miami includes the specialized service of NVC education. This alone has helped many families restore a sense of understanding, compassion and peace to their lives. Steve Pollack supports your family in finding its way through the emotional jungle. He assists you in expressing your deepest feelings, longings and needs. Like a coach, he expertly guides you toward your own inner wisdom as a family. He shows you precisely how to build upon your repertoire of connecting skills. You may be surprised at how many ways you’ll find to express yourselves. And how great it feels to finally have the understanding and respect you want. You and your family may already know the connecting power of family communication counseling. Or, you may simply want to experience it for the first time. You need only pick up the phone or send an email to Steve Pollack at info@mediation-usa.net. Take that first step now. Make a commitment to your growth as a family. Make this investment in your family’s well-being. Give family emotional support a chance! It can be done from the comfort of your home or office, by phone or Skype. Call today for your free 15-minute consultation by phone at 305-947-9115. Please remember to dial the country code first if calling from outside the USA. 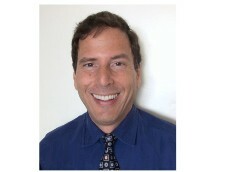 Steve Pollack has a Bachelor of Arts in Communication, and specializes in family counseling in Miami. He has over 90 hours of combined training in mediation and interpersonal communications, and over a decade as a practitioner. Steve has attended in-person trainings and workshops with Dr. Marshall Rosenberg, author of NVC, as well as numerous certified NVC trainers. He has facilitated ongoing practice groups, given public talks, and offered individual counseling, and alternative marriage counseling. We spoke previously about some possible counseling for myself and my mother, but I need to know if you have understanding and experience with domestic violence issues and financial abuse as that goes with it. My problem is that my father, who I have cut contact with, tries to work through my mother and manipulates her to get to me, and he has done some very bad things that have really cost me in health and financial stability. I need you to understand the bigger picture of this type of thing and how abusers work to work with you as he is a master manipulator and I have seen others who are manipulators use NVC that way, instead of using it constructively. I think to prevent this you have to understand abusers and how they work. Tell me more about your level of understanding and experience in this area. I regret the six week delay in responding; a lot of work has come my way lately and I’m finally catching up on correspondence. So sorry to hear about the high level of manipulation and abuse you’ve been facing for so long from your father. It must be extremely difficult and painful at times to deal with it. Yes, I have a lot of first-hand experience with domestic violence and especially the manipulative mindset. Would be happy to share more about that with you via email so as to meet needs for confidentiality. If still interested in hearing more, please contact me directly at info@mediation-usa.net, or swpollack1@yahoo.com.